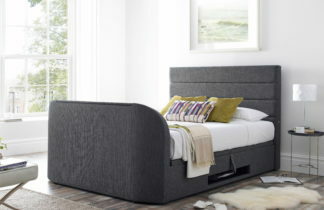 The Titan TV media bed frame is brand new and exclusive to the TVbedstore. 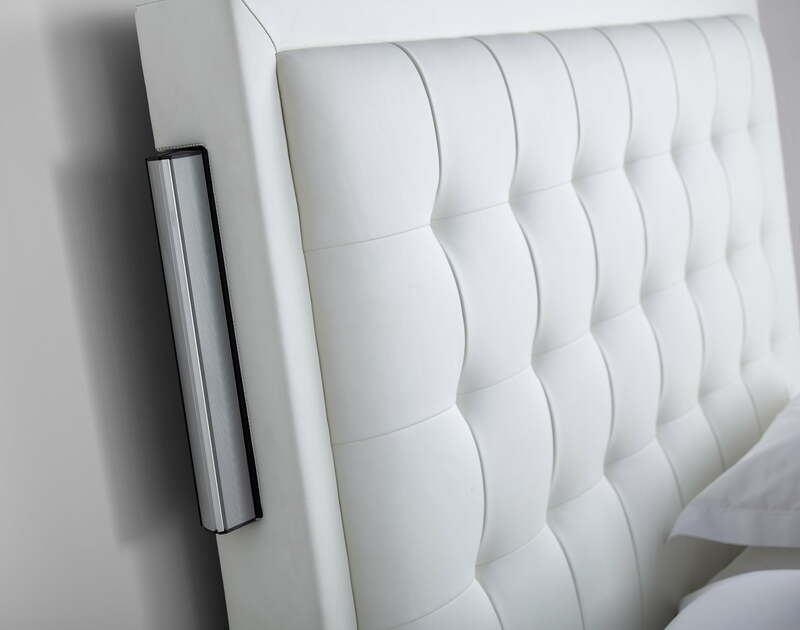 Made by kaydian design the Titan is built for extreme comfort whilst offering you state of the art technology at the push of a button. 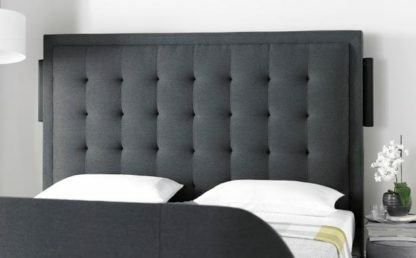 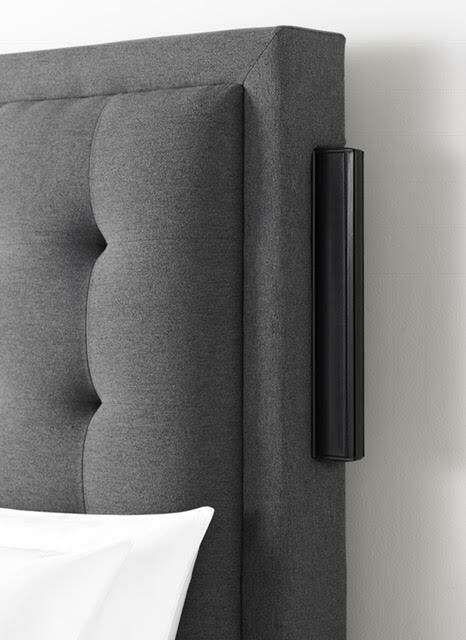 2 adjustable speakers are built into the elegant feature headboard for the perfect surround sound experience. We use our specialist knowledge in TV beds by offering you the best and most suitable TV available to fit the TV bed perfectly. If you require any information regarding TV’s please contact us. 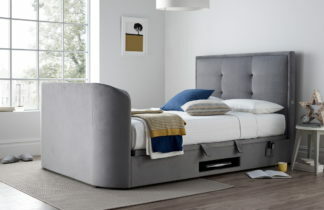 This TV Bed is part of our exclusive Titan sale. 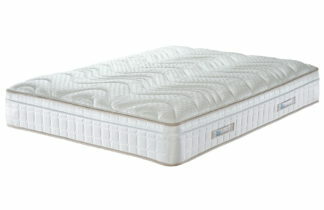 Limited stock availability,order now to avoid disappointment. 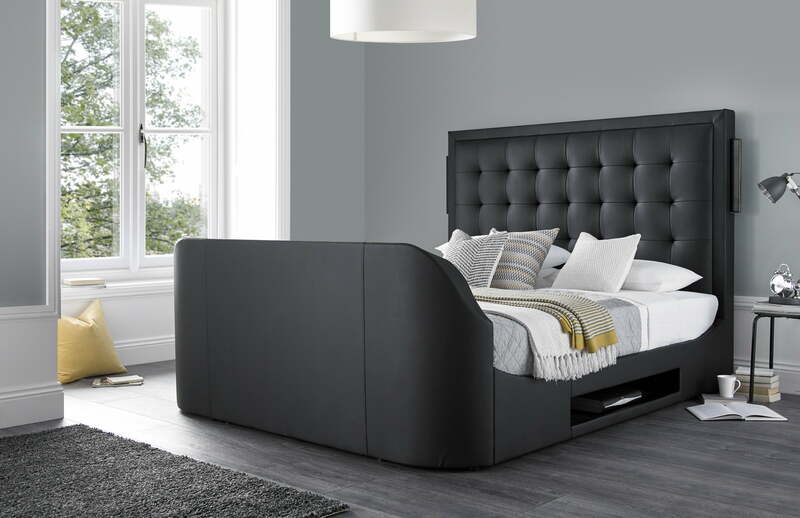 The Titan media TV bed frame is brand new and exclusive to the TVbedstore. 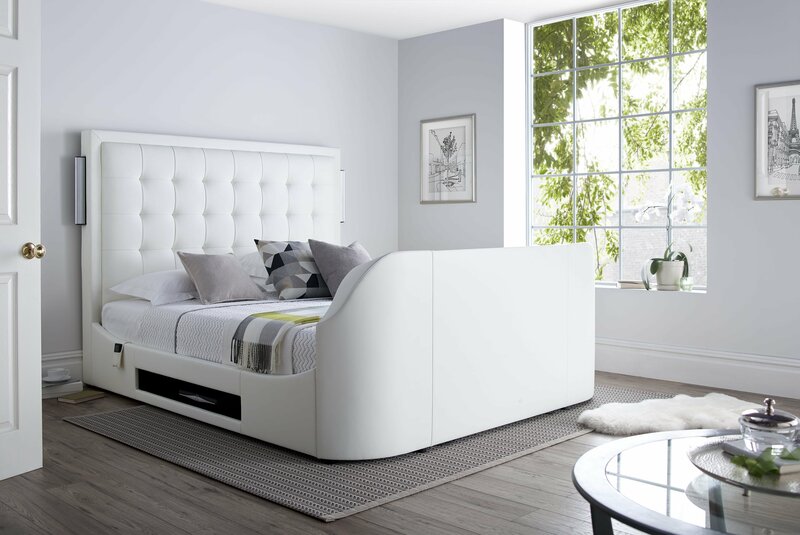 Made by Kaydian design the Titan is built for extreme comfort whilst offering you state of the art technology at the push of a button. It has the benefit of two retractable speakers situated on the elegant feature headboard,which provides you with the perfect surround sound experience from the comfort of your own bed. Bed is available in black or white leather and grey or smoke grey designer fabric. 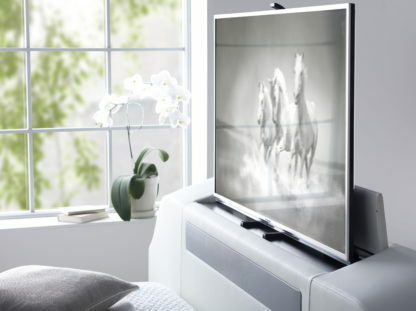 Smart Multi Function Hub, connect headphones for private movie experience. USB port for charging mobile phones and also features an aux port.